[Summary: Scientific evaluation of EMDR psychotherapy]. Encephale. Barrowcliff, Gray, Freeman, MacCulloch (in press). Eye-movements reduce the vividness, emotional valence and electrodermal arousal associated with negative autobiographical memories. Journal of Forensic Psychiatry and Psychology. Barrowcliff A.L., Gray N.S., MacCulloch S., Freeman T.C.A. & MacCulloch M.J. (2003). Horizontal rhythmical eye-movements consistently diminish the arousal provoked by auditory stimuli. British Journal of Clinical Psychology, 42, 289-302. Christman S.D., Garvey K.J., Propper R.E. & Phaneuf K.A. (2003). Bilateral eye movements enhance the retrieval of episodic memories. Neuropsychology, 17, 221-229. Adaptive Information Processing and a Systemic Biopsychosocial Model. Journal of EMDR Practice and Research, 6(1), 27-36. doi:10.1891/1933-3196.6.1.27. Devilly G.J. & Spence S.H. (1999). The relative efficacy and treatment distress of EMDR and a cognitive behavioral trauma treatment protocol in the amelioration of post-traumatic stress disorder. Journal of Anxiety Disorders, 13, 131-157. Dunne T., Farrell D. (2011). Dworkin M., Errebo N. (2010). Rupture and Repair in the EMDR Client/Clinician Relationship: Now Moments and Moments of Meeting. Journal of EMDR Practice and Research, 5(4), E74-E85. doi:10.1891/1933-3196.5.4.E74. Frustaci A., Lanza G. A., Fernandez I., di Giannantonio M., Pozzi G. (2010). Trauma, Research and EMDR Disaster Responder’s Wish List. Journal of EMDR Practice and Research, 2(2), 146–155. Gunter R.W., Bodner G.E. (2009). Kavanagh D.J., Freese S., Andrade J. & May J. (2001). Effects of visuospatial tasks on desensitization to emotive memories. British Journal of Clinical Psychology, 40, 267-280. Konuk E., Epözdemir H., Hacıömeroğlu Atçeken Ş., Aydın Y. E., Yurtsever A. (2011). EMDR Treatment of Migraine. Journal of EMDR Practice and Research, 5(4), 166-176. doi:10.1891/1933-3196.5.4.166. Kuiken D., Bears M., Miall D. & Smith L. (2001-2002). Eye movement desensitization reprocessing facilitates attentional orienting. Imagination, Cognition and Personality, 21,(1),3-20. 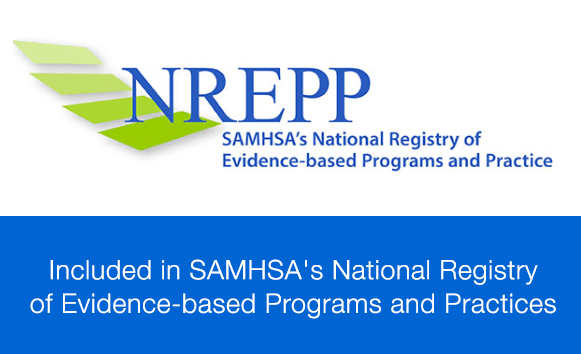 Resources in EMDR and Other Trauma-Focused Psychotherapy: A Review. Journal of EMDR Practice and Research, 3(3), 152-160. doi:10.1891/1933-3196.3.3.152. 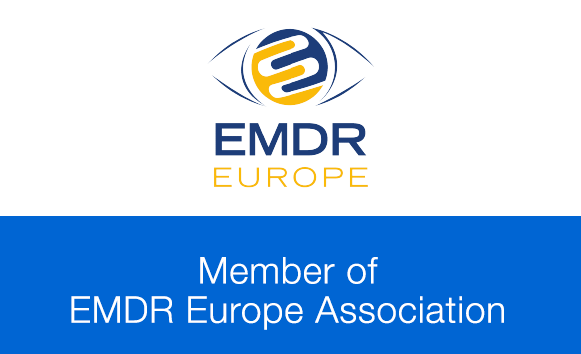 EMDR Milestones: The First 20 Years. Journal of EMDR Practice and Research, 3(4), 211-216. doi:10.1891/1933-3196.3.4.211. McLaughlin D.F., McGowan I.W., Paterson M.C., Miller P.W. (2008). Cessation of deliberate self harm following eye movement desensitisation and reprocessing: A case report. Cases Journal, 1, 177-180. doi:10.1186/1757-1626-1-177. Oswalt R., Anderson M., Hagstrom K., Berkowitz B. (1993). Power K.G., McGoldrick T., Brown K. et al. (2002). A controlled comparison of eye movement desensitization and reprocessing versus exposure plus cognitive restructuring, versus waiting list in the treatment of post-traumatic stress disorder. Journal of Clinical Psychology and Psychotherapy, 9, 299-318. Rost C., Hofmann A., Wheeler K. (2009). EMDR Treatment of Workplace Trauma. Journal of EMDR Practice and Research, 3(2), 80-90. doi:10.1891/1933-3196.3.2.80. EMDR Treatment of Recent Trauma. Journal of EMDR Practice and Research, 3(3), 141-151. doi:10.1891/1933-3196.3.3.141. Suggestions for Teaching the Application of Eye Movements in EMDR. Journal of EMDR Practice and Research, 5(2), 73-77. doi:10.1891/1933-3196.5.2.73. EMDR and early psychological intervention following trauma. Revue européenne de psychologie appliqué, 62(4), 241-251. doi:10.1016/j.erap.2012.09.003. Shapiro E., Laub B. (2008). A Summary, a Theoretical Model, and the Recent Traumatic Episode Protocol (R-TEP). Journal of EMDR Practice and Research, 2(2), 79-96. doi:10.1891/1933-3196.2.2.79. Sharpley C.F., Montgomery I.M. & Scalzo L.A. (1996). Comparative efficacy of EMDR and alternative procedures in reducing the vividness of mental images. Scandinavian Journal of Behaviour Therapy, 25, 37-42. Sheck M., Schaeffer J.A. & Gillette C. (1998). Brief psychological intervention with traumatized young women: The efficacy of eye movement desensitization and reprocessing. Journal of Traumatic stress, 11, 25-44. Solomon R.M. & Kaufman T.E. (2002). A peer support workshop for the treatment of traumatic stress of railroad personnel: Contributions of eye movement desensitization and reprocessing (EMDR). Journal of Brief Therapy, 2, 27-33. Solomon R.M., Shapiro F. (2008). EMDR and the Adaptive Information Processing Model. Journal of EMDR Practice and Research, 39(2), 191-200. doi:10.1007/s10615-010-0300-7. Spector J., Kremer S. (2009). Can I Use EMDR With Clients Who Report Suicidal Ideation? Journal of EMDR Practice and Research, 3(2), 107-108. doi:10.1891/1933-3196.3.2.107. Van den Hout M.A., Engelhard I.M., Rijkeboer M.M., Koekebakker J., Hornsveld H., Leer A., Toffolo M.B.J., Akse N. (2011). EMDR: Eye movements superior to beeps in taxing working memory and reducing vividness of recollections. Behaviour Research and Therapy, 49(2), 92-98. doi:10.1016/j.brat.2010.11.003. EMDR: Eye movements superior to beeps in taxing working memory and reducing vividness of recollections. Behaviour Research and Therapy, 49, 92-98. Van den Hout MA, Engelhard IM, Beetsma D, Slofstra C, Hornsveld H, Houtveen J, Leer A. (2011). EMDR and mindfulness. Eye movements and attentional breathing tax working memory and reduce vividness and emotionality of aversive ideation. Journal of Behavior Therapy and Experimental Psychiatry, 42(4), 423-431, doi:10.1016/j.jbtep.2011.03.004. Van den Hout, M.A., Bartelski N., Engelhard I.M. (2012). Van der Hart O., Nijenhuis E.R. S., Solomon R.(2010). Dissociation of the Personality in Complex Trauma-Related Disorders and EMDR: Theoretical Considerations, Journal of EMDR Practice and Research, 4(2), 76-92. doi:10.1891/1933-3196.4.2.76. Vaughan K., Armstrong M.F., Gold R., O’Connor N., Jenneke W. & Tarrier N. (1994). A trial of eye movement desensitization compared to image habituation training and applied muscle relaxation in post-traumatic stress disorder. Journal of Behavior Therapy & Experimental Psychiatry, 25, 283-291. Efficacy of Eye Movement Desensitization and Reprocessing (EMDR) treatment for psychologically traumatized individuals. The Sciences and Engineering, 56(4), 2347. Wilson S., Becker L.A. & Tinker R.H. (1995). Eye movement desensitization and reprocessing (EMDR): Treatment for psychologically traumatized individuals. Journal of Consulting and Clinical Psychology, 63, 928-937. Wilson S., Becker L.A. & Tinker R.H. (1997). Fifteen-month follow-up of eye movement desensitization and reprocessing (EMDR) treatment of post-traumatic stress disorder and psychological trauma. Journal of Consulting and Clinical Psychology, 65, 1047-1056.